We can all act on climate changeThank you to Marty Nathan for her two-part series about climate change on Sept. 6-7. The articles were very clear about what is happening and what we all need to do to save life on this planet as we know it. I have been a climate activist for over 30 years and often feel despair. For others who are disturbed by these changes, get involved to help find solutions. Join Climate Action Now, or CAN, which is an excellent group of very committed activists in this area. People in my church are very involved as well. Vote for those who will put the climate first when they make decisions. Clearly, we cannot continue as usual, so join us as we work together in camaraderie. Also listen to your children because these things are being discussed. If you don’t discuss these changes, like the very serious drought that we are experiencing, children won’t have anyone to take their fears too. Recently the Massachusetts legislature passed the long-awaited Omnibus Energy Bill. As a climate change activist, I joined hundreds of others making calls to our legislators to request a bill that would decrease the state’s investment in the acquisition and burning of fossil fuels. We won some things. There is a good plan to identify and plug methane leaks from our cities’ natural gas pipes. The state is set to acquire 1,600 megawatts of offshore wind power and the bill encourages onshore wind development as well. In another victory, it did not institute a measure to require electric ratepayers to fund new gas pipelines in the state. But the bill was emblematic of the gradualism adopted by our political leadership that simply cannot meet the challenge of the climate emergency we are facing. Our house is on fire, and we are using a teacup to douse the flames. I do not blame our legislators too much. Meeting the climate crisis, the task that should be the focal point of our thinking and action, requires not responding to all the appeals to continue the status quo. When lobbyists or reporters accuse one of being an alarmist or destroying jobs, charges that could mean defeat at the next election, it is difficult to stand one’s ground. However, our task now will require throwing off convention and adopting wisdom and courage seldom seen in politics. It means fully understanding the implications of the emergency we face. In his recent article featured on the cover of the New Republic, climate activist Bill McKibben compares our plight to a new world war waging all around us that we have yet to engage. This time, however, the enemy is not a Hitler or Hirohito plotting to steal resources and land, destroy towns and dominate nations. Instead, the enemy is climate catastrophe, the physical and chemical product of industrialization and its rapacious mining and burning of fossil fuels. The lethal opponent was created by us humans, usually from the best of intentions, to improve our lives and society. However, the buildup of greenhouse gasses that resulted has heated our Earth beyond levels seen since long before civilization began, with the rate of warming unprecedented in the last thousand years. “Carbon and methane now represent the deadliest enemy of all time, the first force fully capable of harrying, scattering, and impoverishing our entire civilization,” McKibben writes. He states bluntly that the war has already begun with heat waves and megastorms, out-of-control forest fires resulting from massive droughts, quickly melting polar ice raising sea levels, decimation of species and new tropically based infectious diseases appearing far out of their traditional range. As usual with most wars, many of the first victims are those not responsible for the conflict: Those of the global South are most vulnerable and first to be ravaged by such disasters as the Philippines Typhoon Haiyan and the massive Pakistani floods. McKibben spins the metaphor of the war against climate change, describing scientists clamoring for decades for a massive offensive against the enemy, only to be ignored and abused by this country’s “Fifth Column” – the fossil fuel industry and those in its financial thrall. The call to mobilizeNow, though, in 2016 we as a nation must realize that all of the isolated climate change-related disasters we have faced add up to our new Pearl Harbor. Consequently, our task is to mobilize for the clean energy and conservation offensive needed to drop the concentration of atmospheric greenhouse gases. We cannot rely on the gradualism of the present system whose apex agreement – the Paris Climate Agreement – will inevitably heat up the world by 3.5 degrees centigrade by 2100. We must and can enter emergency mode and implement the plans that scientists such as Mark Jacobson of Stanford University have been forming to power 80 percent of the U.S. economy with renewable energy by 2030 and 100 percent by 2050. To do so requires massive investment in solar and wind energy, about 300 huge factories to produce each in this country. There must be unprecedented growth of public transportation, realistic pricing on fossil fuels (including jet fuels) that reflects their actual social cost, a fracking ban, a prohibition against drilling or mining fossil fuels on public lands (which contain half of the untapped carbon left in America), a climate litmus test for new development projects and an end to World Bank financing of fossil fuel plants. A national conversion of this magnitude was successfully undertaken 75 years ago. What is needed parallels the efforts of 1941 to 1945, when our government invested in building and transforming factories all over the country to turn out the bombers, tanks, guns, uniforms and all the equipment necessary to fight the Nazis and Japanese. War bonds, Victory gardens, gasoline and food rationing cards, Rosie the Riveter and the draft affected all of society as it converted to wage the war. Though McKibben does not say so, much of the investment necessary for today’s gargantuan undertaking can and should come from the $600 billion yearly military budget. It would make ironic sense, since the military is the most carbon-intensive institution in the country. Despite what the deniers and gradualists say, such a publicly funded conversion would not mean loss of jobs. To the contrary, the fossil-fuel-based economy is less job-rich than a green one, by about two million workers, and in general those green jobs would pay more and be less dangerous than those in gas, oil and coal. As a society we simply cannot afford to pursue the present course. The damages already wrought in the U.S. by the western drought, superstorms Katrina and Sandy, the recent Louisiana floods and all the lesser climate change-based disasters are costing tens of billions of dollars, with much more inevitable in the near future. If we are afraid of losing money and jobs, the present approach is a debacle. It is time for each of us, individually, to respond to the climate emergency, assess our lives and become engaged in fighting the greatest threat of our times. As a start, we have a unique opportunity to involve ourselves with the elections taking place this fall. We need to campaign and to demand that our politicians submit neither to the denial nor the gradualism that will mean climate defeat. We must engage our political leaders and persistently show them we support only bold action and comprehensive approaches that will swiftly convert us to clean energy. We have to impress upon them that piecemeal approaches are no longer acceptable in this historic struggle. Marty Nathan, MD, lives in Northampton and writes regularly on environmental issues. The first part of her essay appeared Wednesday and can be found on GazetteNET.com. Marty Nathan: US mobilized for WWII, why not now for climate? Visionary environmentalist Bill McKibben refers to the same era when he compares our situation in the summer of 2016 to the danger faced by our country in 1940 as Germany invaded country after country and Japan expanded menacingly in the Pacific. They are both using World War II to refer to present-day peril. The arrival of the consequences of climate change in the last year has become agonizingly obvious to anyone who both understands science and is not financially or politically bound to the fossil fuel industry. No surprise to us in the Pioneer Valley: July 2016 was the globe’s hottest month on records kept since 1880. According to climate change experts, three out of four extreme heat days can be tied to global warming. Fifteen of the 16 highest monthly temperature elevations have all occurred since February 2015. California’s Blue Cut Fire joined other extreme wildfires to destroy tens of thousands of acres in California, “with an intensity that we haven’t seen before,” according to local officials. Most experts attribute their fury to the five years of severe drought caused by climate change. The waters are finally receding in Louisiana after one of the most deadly floods in history. The National Oceanic and Atmospheric Administration (NOAA) has classified this disaster as a “once in every 500 years event.” Astoundingly, though, it is the eighth such never-in-a lifetime storm to have occurred in a little more than 12 months. Summer Arctic sea ice is at its lowest since records began over 125 years ago, 22,000 square miles of ice disappearing each week. This summer unprecedented coral bleaching – the damage to coral reefs caused by elevated ocean temperatures – is stretching across the Indian and Pacific oceans, meaning death to ocean species upon which we depend. A quarter of the Great Barrier Reef has been affected. In the last decade we have witnessed an accelerating tempo of climate change-caused natural crises occurring around the globe. The buildup of greenhouse gases in the atmosphere, mainly carbon dioxide and methane, has warmed our world so rapidly that the resulting disasters no longer surprise us or even hold our attention for very long. They have become, if not the new normal, at least not such a big deal, unless it is our house or our family that is lost. It is an unfolding climate emergency. Recent events are telling us, if we are paying attention, that the lives of billions of people, millions of species, and perhaps civilization as we know it, may be lost in the coming decades to ascending global temperatures and the droughts, megastorms, sea-level rise and social disruption and warfare that are already beginning to accompany it. We have known about the threat of climate change for decades, yet many things have prevented us from taking the steps necessary to stop its inexorable progress. The most deliberate and criminal culpability belongs to the fossil fuel and automobile industries which, with their representative politicians and media mouthpieces, knowingly suppressed and defamed research on climate change that, if acted upon 40 years ago, would have translated to a much better chance of salvaging a livable planet. However, a culture of combustion-based ease and material surplus has affected all of us in the global North, and that has in turn affected the possibility of survival not just for our grandkids, as we used to think, or for our kids, but for ourselves, sober scientists would now tell us. We really do not have much time left, much less than we used to like to think as we climbed into jets for a week’s holiday in Los Angeles or Miami. What does it mean to face a climate emergency? It is a question that I challenge you, if you have managed to read this far, to ask yourself. It absolutely does not mean panic. Panic does not accomplish carefully considered policy and lifestyle change. Panic leads to desperation and despair and chaos, worse than useless in such a crisis. Climate emergency requires focus, eliminating a whole lot of the extraneous details of our lives and our society and convincing and working with everyone available to change very quickly the political and economic policies of our country so as to drastically cut our carbon emissions. This reorientation must occur at every level, from the personal to the national. How far must emissions be cut? The agreements of the Paris Conference last year are not sufficient to prevent our global temperatures from rising above 2 degrees Centigrade in the next few decades. We must go beyond them and as soon as possible reduce our country’s emissions to zero. Research shows that that can be done, that we have the technology and the resources. What we have not had before now was the will. Back to re World War II analogy: on the national level we have historical precedent in this country’s emergency response to the attack on Pearl Harbor. Seven decades ago, as the United States entered the war that had been raging in Europe and the Pacific, it faced formidable, seemingly undefeatable enemies. The nation was completely unprepared for the military effort that was necessary to fight Fascism. Yet remarkably, within months the economy was transforming to produce the materials necessary to fight on two fronts. It required the alteration of all sectors of the economy and society, accomplished with a political singlemindedness that has not been seen since. It is that same type of laser-like focus and dedication that will be required to implement a rapid redirection of industry to renewables and conservation in order to meet the climate emergency. Without that approach, we will be party to the commission of an unforgivable crime towards our planet and its occupants. On Thursday: How to respond to the climate emergency. Marty Nathan, MD, lives in Northampton and is a regular contributor on environmental issues. A year and a half ago I wrote about the gas leak at my house that caused the fire department to evacuate the neighborhood. While on vacation, mice chewed through the line connecting a propane tank to our backyard grill. Luckily, our smart 13-year-old neighbor who was caring for our backyard chickens in our absence smelled the gas and told her mom, who called the alarm. And even more fortunately, the leak was small, no one lit a match and the crisis passed within an hour. Not so lucky for the folks of Porter Ranch, California, an upscale suburb of Los Angeles. A little over two weeks ago the California Secretary of State joined his neighbors in leaving his home there in order to protect himself, his wife and three small children from the toxic effects of the methane leak from the nearby huge Aliso Canyon underground storage facility. Massive emissions of methane were pouring into the air from where it is stored under high pressure in an old well 3,000 feet underground. The methane (the major component of natural gas) was delivered by pipeline mostly from West Texas. It created a plume a mile high and several miles long from Oct. 23, 2015, until it was “temporarily” plugged Friday. It continued for three and a half months because of the depth of the storage, the pressure and complexity of the storage system and, well, because neither Southern Cal Gas nor any other fossil fuel company has bothered to make a plan for such a disaster. Sound familiar? Aliso Canyon spewed over 90,000 tons of methane into the atmosphere. The mercaptan in it has made people sick, forcing the evacuation of over 2,000 people from the area and closing two local schools. Of course the gas is volatile, and devastating fires and explosions have been possible. Since our atmosphere has no boundaries, of course this is not just a local disaster. Methane is a greenhouse gas, 80 times as powerful as carbon dioxide. What was emitted is equal to eight million tons of carbon dioxide, a quarter of the greenhouse gas cuts that California’s ambitious global warming mitigation plan is set to eliminate. It is a big hit to the climate, something to be mourned on behalf of the future of those living on our planet. But let us learn the Aliso Canyon lesson here, in Massachusetts. Natural gas, methane, is not a safe or appropriate “bridge fuel” to a future of renewable energy. Though burning the final product is less polluting than burning coal, the leaks all the way along the production and delivery system — the worst example being Aliso Canyon — wipe out any benefit that the “cleaner burning” bestows. Stop the gas leaks at wells, storage tanks and pipes. In Massachusetts the Natural Gas Leak law must be implemented throughout the state. Prevent the building of any new natural gas infrastructure. Yes, I mean the Northeast Energy Direct and the West Roxbury Lateral Pipelines, which are needed not for Massachusetts consumers but instead for natural gas profit through export. Join the march “Taking Steps to a Renewable Future” from March 17 to 20 from Windsor to Northfield between proposed NED stations. Use due diligence to conserve and make the transition to renewable energy. Call your legislators and ask them toensure the elimination of the cap on net metering of solar energy to support that transition from dangerous, climate-killing fossil fuels. Recently I awoke to scientist Sue Natali of the Woods Hole Research Center discussing the rapid melting of the Northern Hemisphere permafrost on NEPR’s Living on Earth. I was alarmed. Hence, I am compelled to be alarmist. The earth is a very complicated place. When changes are made in one area, like warming the atmosphere and oceans through pumping massive amounts of greenhouse gases into the air, that small rise in temperature can trigger other changes that release much more carbon independent of the original trigger. These carbon feedback loops have long been predicted by climate scientists, and now it seems they are happening. The air temperatures in the Arctic are warming twice as fast as in the rest of the world, as Alaskans can tell you. The permafrost – by definition all of the ground frozen through two straight years (and much of it for tens of thousands of years) – is beginning to melt. The melting allows for bacterial degradation of the organic – previously living – matter. That breakdown process emits carbon dioxide and methane, a greenhouse gas much more potent than carbon dioxide. The thawing also causes drying of the ground which encourages fires, which then generate more rapid emissions release and faster thawing. Permafrost covers 25% of the Northern Hemisphere land area. There are 1.5 trillion tons of carbon stored there, about as much as remains in our fossil fuel reserves and three times as much as is stored in the world’s forests and ocean plants. If the world’s carbon emissions continue at the present rate, we can expect the permafrost melt to release 130 to 150 billion tons by the end of the century. That is equivalent to what our own country will spew during the same period, so the permafrost will double our country’s climate impact. And, let me repeat: once it starts, we cannot stop it, because it proceeds on the basis of the effects of greenhouse gases already in the atmosphere. If we cut emissions drastically now, we can rein in its contribution to only 60 billion tons of carbon by the end of the century. But that means acting now. Pope Francis obviously gets it. His recent encyclical reaches out to all of us, not just Catholics, to immediately change our lifestyles and policies away from the profit-and-consumption frenzy that has put us in the position of threatening our very life support systems. One of the few effective methods of enacting large-scale emissions cuts quickly has been a carbon fee and rebate or carbon tax. http://www.gazettenet.com/home/16628306-95/marty-nathan-it-ought-to-be-a-law-and-can-carbon-fee-and-rebate . It has been effectively imposed in several countries and in Canada’s British Columbia province. Environmentalists have long demanded it in the US, but up till now it has been fought tooth and nail by corporate financial influence in Congress and the White House. Eacho seems to be the mouthpiece for the wealthy who now see the writing on the wall in favor of putting a fair price on carbon. His article supports the popular measure with this crucial change: instead of the rebate going equally to all (with some invested in infrastructure), half of it would go cut corporate taxes. He says the change is necessary in order to protect the “job-creators” from the “decreased competitiveness” supposedly inherent in the measure. This excuse is at once bogus, immoral and counters the aim of the carbon fee. Bogus, because where carbon fee-and–rebate has been implemented, as in BC, the economy has grown. Immoral, because he is talking about paying back the culprits who have been obscenely enriched by the profligate fossil fuel consumption era. Contrary to the goal of reducing emissions, as amply demonstrated this week with the passage of the deeply unpopular Trans-Pacific Partnership that was bought-and-paid-for by major corporate lobbyists. The TPP has the potential to undermine every environmental law in twelve countries around the Pacific rim, including the US, if that legislation “threatens future profit”. Putting more money in corporate hands, history assures us, will only increase their power to destroy the sustainable economy we are trying to build. We are facing disaster as never seen before by humanity. We must be alarmed. We must right now begin to change our lifestyles and our economy, and a carbon tax or fee and rebate is one tool to do both. But using it as a ploy to strengthen Exxon-Mobil and its ilk is not a path we can afford to take. NORTHAMPTON — Psychological warfare is being waged in Massachusetts towns as natural gas local Distribution Companies (LDCs) declare moratoria on new subscribers until the building of Kinder Morgan’s Northeast Energy Direct (NED, also known as the Tennessee Gas) Pipeline is agreed upon. Every day for months I have been seeing Berkshire Gas ads explaining its policy of preventing new gas hookups, citing “pipeline capacity constraints” limiting gas availability. My understanding of gas supply is fuzzy, though I suspected from the first that any time pipelines are being mentioned by energy companies in western Massachusetts, Kinder Morgan is probably behind the curtain. Then a couple of weeks ago I heard mention by a Northampton official that barriers to new gas hookups are hindering development of key projects in the town. The moratorium strategy is being adopted not just by Berkshire Gas in Franklin County and in Amherst, Hadley and Hatfield, but as well by Columbia Gas in Easthampton and Northampton. The Hampshire County towns for both companies are all fed by the Northampton Lateral of another Tennessee Gas pipeline in southern Massachusetts. Thus the new Pleasant Street affordable housing project in Northampton, much needed by our community to serve low income people, is being stalled, as is the opening and expansion of small businesses in this lurching recovery from the Great Recession. These two LDCs have applied to the Massachusetts Department of Public Utilities to bless contracts (whose details and pricing are secret) to acquire natural gas from the Northeast Direct which, if built, will pass from Wright, New York, to Dracut. Columbia Gas has said that it needs 114,000 dekatherms/day to replace existing contracts that it plans to get out of and to cover projected growth. It says that without the new NED gas delivery, its customers will suffer from shortages. The problem is that the only consumer demand that Columbia is looking at is that occurring on “design” or peak demand days — in the middle of the winter, when the furnace in every house is chugging and electrical output, much based now on the burning of natural gas, is high. Though never explicitly stated in their filings or press releases, yearly peak days can be counted on the fingers of one hand. On all other days, supply well-surpasses demand. On design days there are alternatives — either shipped in or locally stored liquefied natural gas or gas bought on the open market, which can and should be a part of any distributer’s plan. In Amherst, specific temporary stopgap measures have been proposed for the design days, till long-term answers have been implemented. A similar analysis could be done for all the other affected towns. 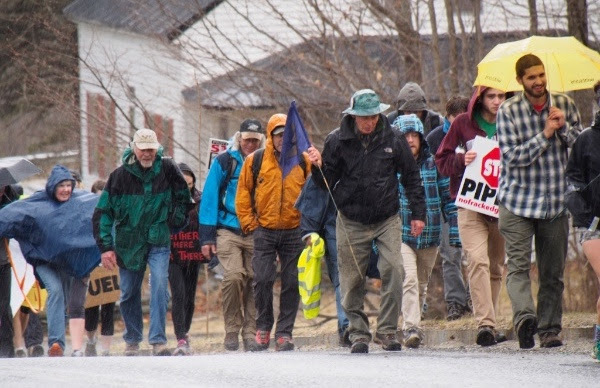 Yet Columbia, Berkshire and Cape Gas companies have ignored those options and thrown their lot in with Kinder Morgan, stating that the building of the pipeline is necessary for energy security for the Commonwealth. This is convenient for Kinder Morgan, which must make a case for such need: the Federal Energy Regulatory Commission to whom it has applied for permission to build the pipeline requires that there be local (i.e. Massachusetts) service provision in order to OK the project. The truth is, though, that the main market for the NED fracked gas is overseas. From Dracut it will be sent to Nova Scotia and then across the Atlantic. There simply is not enough demand in the U.S. to absorb the enormous amount of frackable gas in the Marcellus Shale and prices (and therefore profits) have plummeted. Critics in the know say the LDCs projections of local demand are phony, that Columbia Gas is choosing to break other contracts to substitute the NED and overstating the growth in regional demand. They hold that companies are vastly understating the amount of gas that could be saved by truly aggressive energy efficiency methods and conversion to renewables. Just plugging the leaks in Boston’s old gas pipes alone could save 41,000 dekatherms a day. No one has yet studied Springfield or Holyoke, both cities served by Columbia Gas. The distributors then back up their narrative of unmet local need with the moratorium, creating a crisis that threatens community development and punishes towns, many of whom have taken a stand against the environmentally destructive NED. The moratorium is being implemented unilaterally and without oversight. It verges on extortion of the communities Columbia and Berkshire Gas are by law dedicated to serve. It is very important that we do not submit, but that we soberly assess the benefits and harms of new carbon infrastructure like the NED in a time when there must be a profound energy shift to conservation and renewables. No matter what Columbia and Berkshire Gas say, the $5.5 billion to build this destructive dinosaur would be better spent in effecting that shift. Marty Nathan, M.D., is a physician at Baystate Brightwood Health Center and a member of Climate Action NOW. She lives in Northampton. The following is an article featuring our work, published in the Daily Hampshire Gazette on May 22, 2015. By Susan Théberge and Darcy DuMont Gazette Contributing Writers. The year 2014 was the warmest ever recorded. Every region of the United States except Hawaii has seen more extreme precipitation episodes in the last 10 years, led by the Northeast with a stunning 71 percent increase. Whether it’s flooding in the Northeast or drought in the Southwest, climate change is affecting all of us. This is the “new normal.” Although the science has been clear, world leaders have spent the last quarter-century doing little to address the crisis. We now have a small window of time left to prevent climate catastrophe. The U.N. Environment Program says we need to reach “net zero carbon” by century’s end — this will probably require stopping almost all fossil fuel usage worldwide by around 2050. To succeed, we need to start cutting back right now. One heartening development is the rise of grassroots groups of people across the country and around the world discovering ways to prevent climate chaos and create positive and equitable solutions. The Valley is home to Climate Action NOW (CAN), a diverse grassroots community of people connected by our passion to preserve a livable world and create a more just society. We work to build coalitions that inspire, educate and organize individuals and groups working on climate change issues. This requires a fundamental global shift in how we produce and use energy. We have our work cut out for us, because we are contending with powerful and wealthy interests, including multinational energy corporations whose profits depend on continuing the extraction and use of fossil fuels. There’s a place for everyone in this global surge to create meaningful change in the window of time we have left. To be successful, we need as many people as possible to step up. Building a sustainable energy future for Massachusetts. We are organizing for a clean, renewable energy future while we join with others to stop fossil fuel infrastructure expansion in Massachusetts and beyond through the ReNEWable Massachusetts project. We are working to promote local control of renewable energy sources, energy efficiency and conservation in order to reduce or eliminate the need for fossil fuel-based energy. We’ve also organized opposition, including non-violent civil disobedience, to the Keystone XL Pipeline, which will greatly increase global CO2 emissions from dirty tar sands oil. Tar sands exploitation also threatens indigenous communities in Canada and the United States. 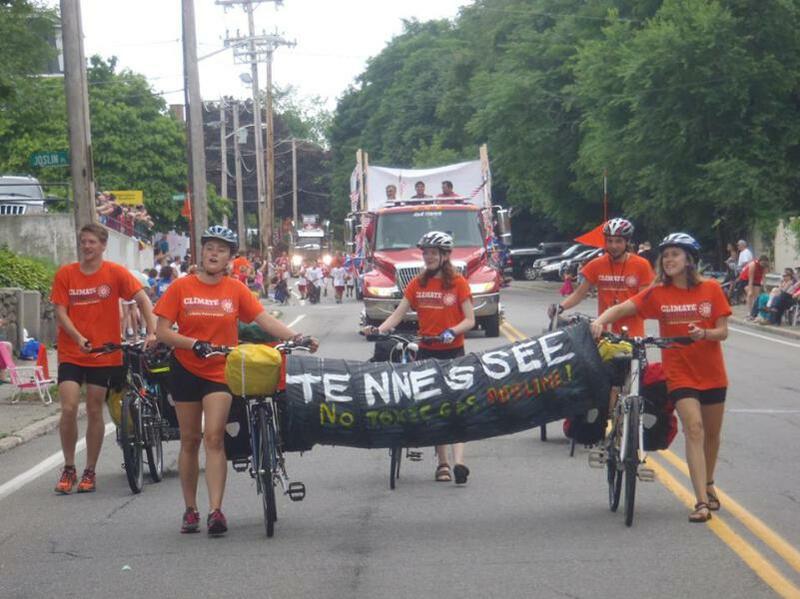 CAN/350Mass helps organize community efforts for a climate action plan in your town or city to oppose new fossil fuel infrastructure (pipelines or power plants) and to shift town and faith communities’ energy sources to 100% renewable. Demanding divestment from fossil fuels. From students calling for their universities to divest endowments, to faith communities and state workers calling for cutting institutional ties to corporations profiting from fossil fuels, the divestment movement is a global and growing force with institutions committing to remove these investments from their stock portfolios. 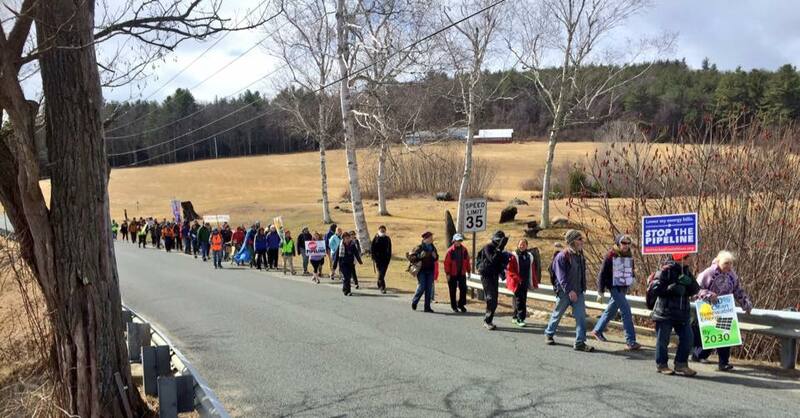 CAN/350Mass will help you develop and promote resolutions in your town or faith group to divest from fossil fuels. We’re also supporting state legislation to divest the state pension fund from fossil fuels. The Springfield Climate Justice Coalition. CAN is a founding member of the Springfield Climate Justice Coalition, which brings together diverse groups to fight for climate justice in Springfield. Our current focus is ensuring that the city fully implements its Climate Action Plan. We’re working to ensure that the plan reflects the needs of those most affected by pollution and the impacts of climate change. A fair price for carbon. Most economists agree that putting a price on carbon is the best way to reduce the emissions that cause global warming. One path toward this goal is to end fossil fuel subsidies by having our state legislature approve a fair and equitable fee and rebate program. The state legislature is considering two bills to put a price on carbon. 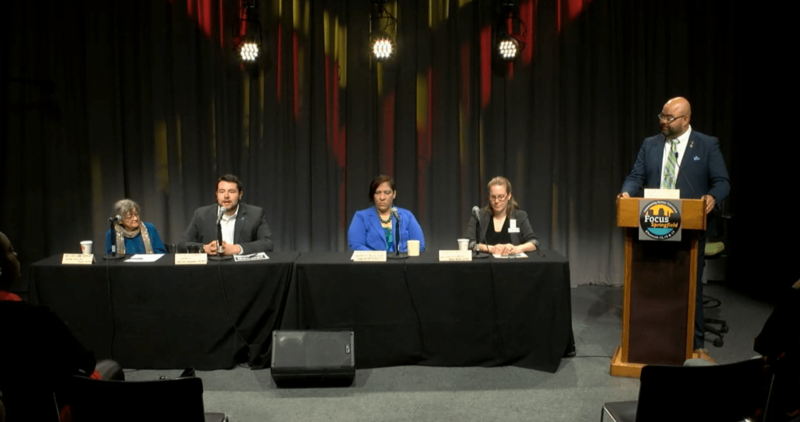 The Massachusetts Campaign for a Clean Energy Future — a broad coalition including business, labor, civic and environmental groups — is currently facilitating a statewide dialogue so the best legislation will emerge; CAN is an active participant. CAN is looking for people to work on street theater, giant puppets, music and art so we can bring our passion to the streets and public art to our actions. We also need people with media skills to help with our weekly online newsletter, and our presence on the web, in print and on social media. Climate change is happening, but together we can prevent catastrophe. If you’re ready to get involved, together we CAN make a difference.